Serendipity is an internationally connected social enterprise that actively changes the UK artistic and cultural landscape with an innovative and inspiring high-quality programme. Serendipity fosters innovative new work from artists, both emerging and established, bringing diversity to the forefront of cultural experiences for all. 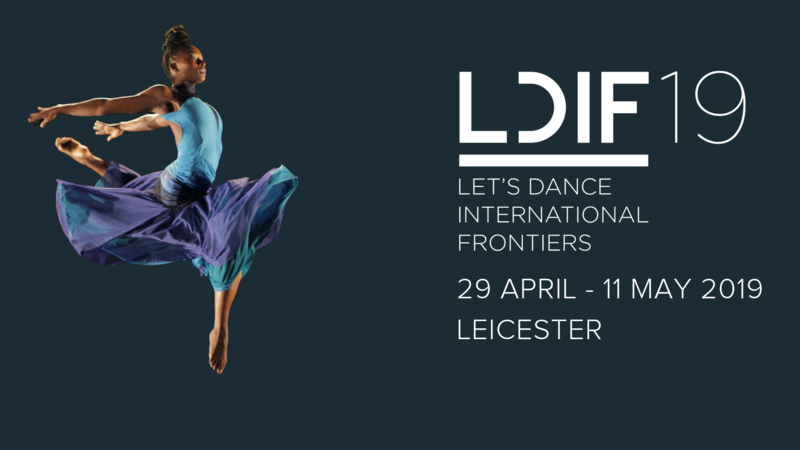 Launching each year on 29 April to celebrate International Dance Day, LDIF brings diversity to the forefront in dance with a 10-day festival showcasing new work from local emerging talent to internationally acclaimed companies. Three dedicated platforms (Signatures, Autograph and Biography) support artistic development at different career stages. The programme also includes a national conference, films, workshops, site-specific projects and performances. LDIF+ is a year-round programme of continued professional development offering quality training in diverse dance techniques from around the world. Through conferences, workshops, masterclasses and courses with international practitioners, LDIF+ provides opportunities not widely available in the UK. Serendipity, on behalf of Leicester City Council, coordinates Black History Month in the city each October. Trailblazing artists and activists from the African and African Caribbean diaspora take centre stage in a programme featuring film, theatre, dance, lectures and exhibitions. Serendipity’s initiative BHM Live supports and highlights the work of emerging Black artists. In 2017 Serendipity marked 30 years of Black History Month with Lost Legends, a Heritage Lottery Funded project that recorded, documented and archived the contributions of Leicester’s African and African Caribbean community to the UK over the last three decades. A series of discussions and debates in partnership with universities and international agencies including, De Montfort University, University of Leicester and CARICOM. Each conference result in a publication, and to date Serendipity has released; Hidden Movement: Contemporary Voices of Black British Dance; Creolizing Dance in a Global Age; Blurring Boundaries: Urban Street meets Contemporary Dance; Black Women in Dance: Stepping Out of the Barriers; Identity and Choreographic Practice; Invisible Visibility: Diverse Voices within Inclusive Dance and Lost Legends: 30 Years 30 Voices. Each book leaves a legacy of untold histories and debate around dance and diversity. In partnership with training providers such as De Montfort University, Serendipity offers opportunities from internships and apprenticeships to placements and volunteer roles for people wishing to explore a career in arts administration or as a practitioner. Each student has a bespoke package that provides practical experiences and real insights into the area of work in which they are interested. Additionally, the year-round continued professional development provides opportunities and experiences such as workshops, masterclasses and residencies with leading artists and practitioners to supplement the curriculum and provide opportunities for nurturing artistic growth. We create resources and publish books suitable for researchers and enthusiasts. Our subject areas include dance, the arts, social and cultural history. Serendipity is dedicated to supporting and commissioning new work across a variety of art forms. Its platforms include BHM Live, which provides opportunities for emerging Black artists to develop their work, and also Signatures, Autograph and Biography, three stands of work associated with Let’s Dance International Frontiers, supporting artists’ development throughout their careers from the emerging to the established. Developing work in partnership with artists and organisations both in the UK and internationally, including Dance4, De Montfort University, Catherine Dénécy, CARICOM, Curve, Kulturconsulting, and Take the Space.